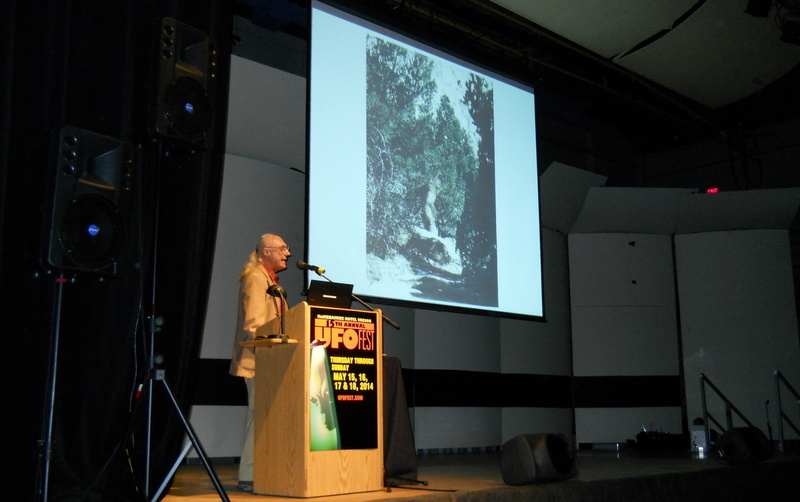 Here are a few photos from this year’s UFO Festival in McMinnville, OR. Keep an eye out for the red convertible at the front of the parade. It was a great time! 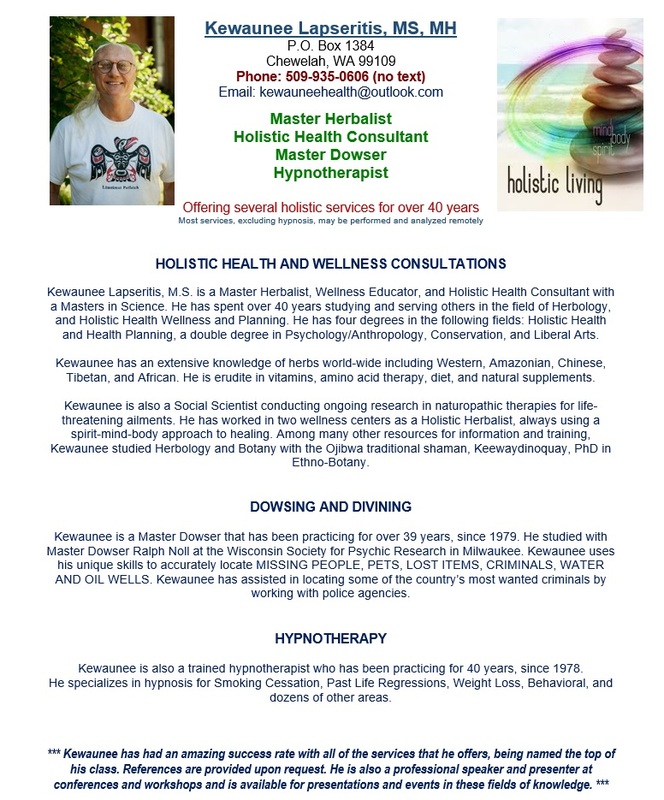 Below are a couple questions from his interview. 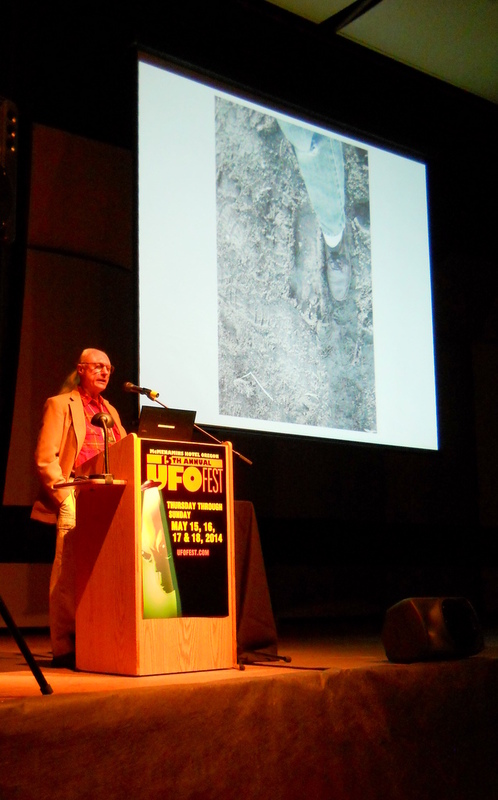 Kewaunee Lapseritis, presenter at this weekend’s McMenamins UFO Festival, explains the connection between bigfeet and flying saucers. WW: Can you tell me about your first encounter with Sasquatch and the Star People? 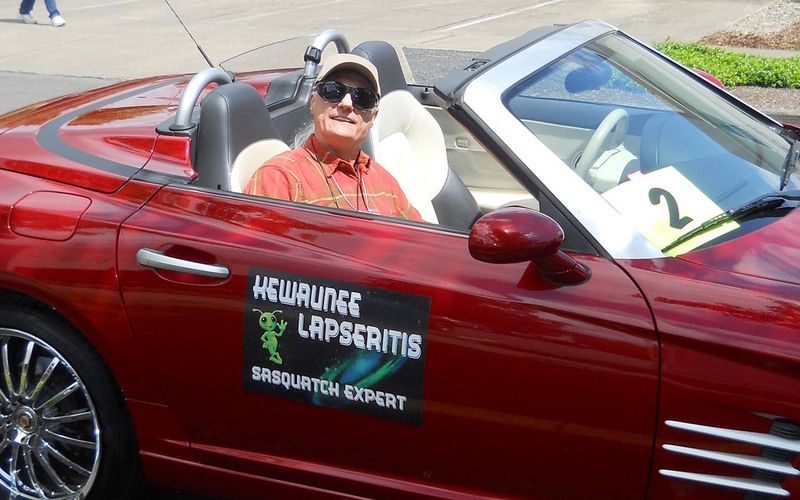 Kewaunee Lapseritis: Back in September of 1979, I was on Native American property. 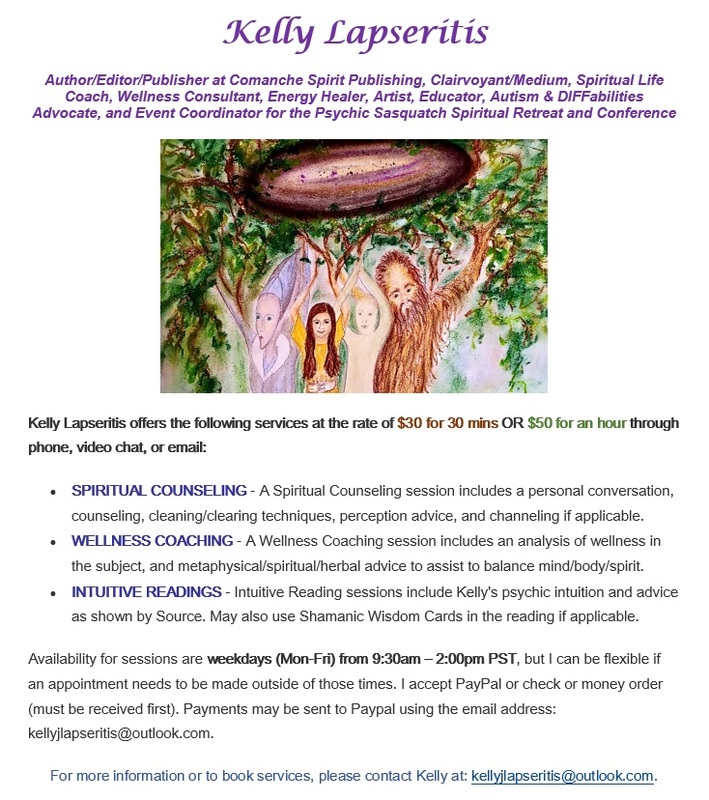 I had an encounter; a Sasquatch started talking to me telepathically. I kept thinking, “What’s going on here?” But every time I thought something, he would answer it. And minutes later, an ET started talking to me, and I said, “I don’t see you.” And he said, “Well, I’m in what you people call a UFO. I’m just above you, in another dimension.” They told me to write a book about it, which I did. I’ve written two now, and they want me to write a third book. Why did they want you to write a book? Because people think they’re animals when they are an evolved people who are interdimensional. And they want people to know that they’re not monsters. They don’t want to be shot at by ignorant hunters. And they want us to stop destroying the planet, because the planet’s dying and they’re very attuned to Earth energy.